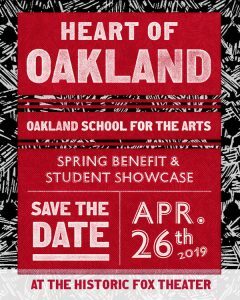 We’ll be celebrating this year’s event on April 26, 2019 right here in Oakland at the Historic Fox Theater! With special guest artists, too! 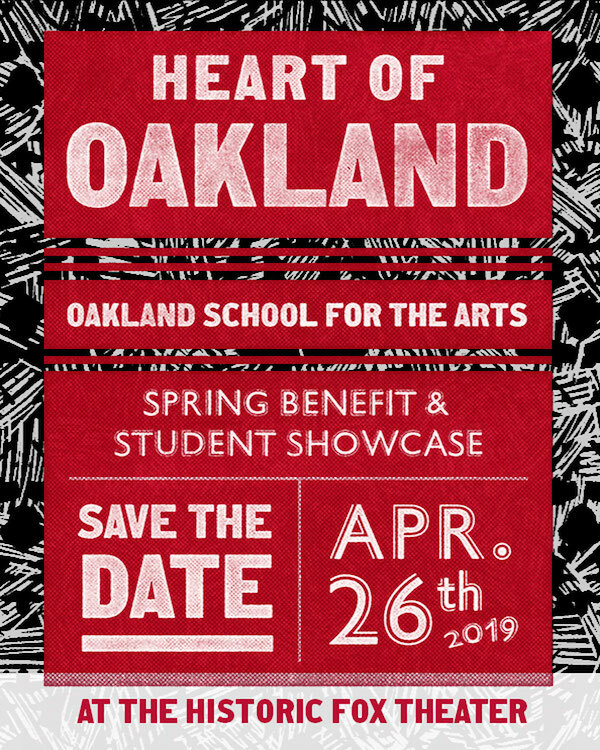 Learn more about Heart of Oakland here! Interested in volunteering? There are many roles that will help make Heart of Oakland a success! Look out for more detailed sign-up information in the near future to join Heart of Oakland’s growing team of volunteers, including onsite night-of volunteers, publicity volunteers, and sponsorship volunteers. We look forward to sharing more about Heart of Oakland with you soon. Be on the lookout for more details in the coming weeks! Questions? : Contact Kathryn Keslosky, OSA Director of Advancement, at kkeslosky@oakarts.org or (510) 873-8819. Note: Students must fill out a Change Emphasis form (pick up from Front Desk). Questions? See Ms. Peters in Room 406 at Newberry. Congratulations to Olivia Tarango, an eighth grader in Digital Media, on her role in making a documentary film over the summer with other campers called “Make America Civilized Again”! The film won an award at AfroComicCon last November and was recently selected for inclusion in the Youth Visions Showcase from the San Diego Latino Film Festival!